We watched our Luna Moths come out of their cocoons. We learned the sight words up, am, and, are, in, at, on, not, got, said, her. We are practicing Tap, it out. We can read for 8 minutes! We learned about 2D and 3D shapes. This month has been filled with exciting events. I can’t wait to continue on this awesome adventure. Also, see you on Thursday at 8:30am for the Butterfly and Moth Celebration! We are still learning how to become better readers and enhancing our Super Reader Power with the help of a few new reading strategies. The strategies are STOP if it does not make sense, and Tap it out. 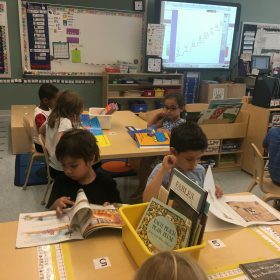 Guided Reading Groups also started in the classroom this month! I’ve been pulling students for small groups and they have each been working on strengthening these skills. 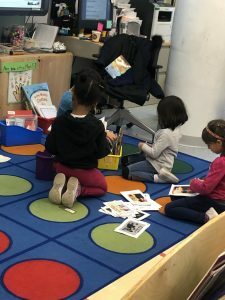 While I meet with small groups, the rest of the class works within Literacy Centers which vary from handwriting, sentence structure, independent reading, sight word practice and blending. This week students also learned how to shop for books that are the appropriate reading level for them. These books allow them to independently practice skills and read on their own. 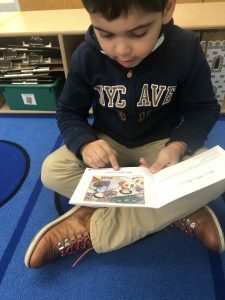 With books going home, you can help students practice reading as well. Now that the Butterfly and Moth Celebration is coming to an end, so will our butterfly writing unit. 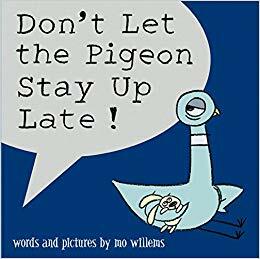 We are now going to move into our author study of Mo Willems. 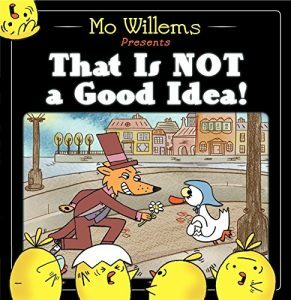 During this study, students will learn how to write their own books similar to the author and attempt to copy his style. 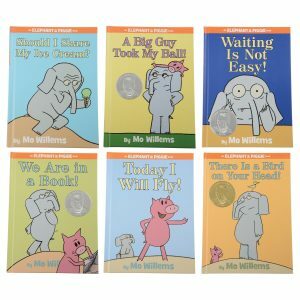 By reading books by Mo Willems, students are exposed to the language he uses, as well as the variety of characters. 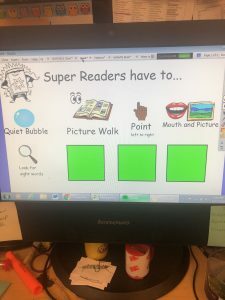 Once students are ready to write their own books, they can combine characters, uses speech bubbles, and create their own versions of these books. We spent all of January learning about 2D and 3D shapes! We learned about the different shapes and kept track of the number of sides, vertices/points, and faces. Now that we are in February, this month students will dive into addition and learn how to problem solve. A big part of this unit will also be explaining your thinking. 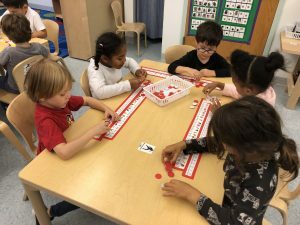 Since students have learned counting strategies, they will use learned strategies to help solve addition problems. This is an exciting step as students become mathematicians and it will be amazing to see. We are learning all about being Superfelx and how to avoid being a Rock Brain. Superflex and Rock Brain are fictional characters used to help students understand flexibility. Students want to be like Superflex because he/she changes their thinking and is okay with things not going their way or plans changing. Needless to say Superflex is very flexible. Rock Brain on the other hand is stubborn, rigid, and only wants his/her way. As we learn about these characters, students are starting to think about which character they are being or want to be. Think about it for yourself, are you Superflex or Rock Brain? We will learn how to write the uppercase letters, Q, R, S, T, U, V, W. We will also review the letters we have learned. We will continue to practice Tap it out and blending. Sight Words we are learning mom, dad, come, day, did, say, sat, with, how, very. We had our first conferences! We are learning how to write Non-Fiction books. We learned the Sight Words “she”, “go”, “so, “no”, “as”, “by”, “be”, “have”, “my”, “do”. We learned the letters p, j, l, h, k, v and w, as well as their corresponding sounds. 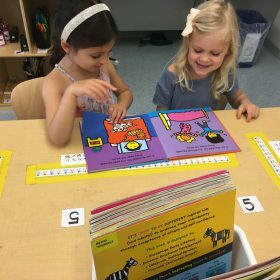 We are practicing our Super Reader Powers by reading in our “Reading Bubbles” (a quiet independent reading time) and Partner Reading (reading one book with a partner) for 6 minutes. We are learning how to do Flower Power and solve problems with our friends. Guess what we are learning? We are learning how to become better readers and enhancing our Super Reader Power with the help of a few reading strategies. The strategies are Quiet Bubble, Picture Walk, Point from left to right, Mouth & Picture, Look for Sight Words and more to come. After the break, students will get their own Reading Thinkmark bookmark to practice their reading skills at home as well as individual Book Baggies! We are learning how to write Non-Fiction books. So far students have written and published at least one book detailing something they know all about. Most students are beginning to take the first steps in sounding out words to create sentences by using learned writing strategies like “Stretch the word”. 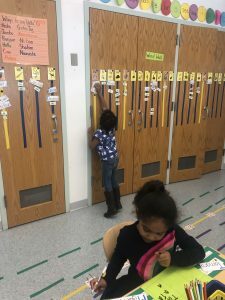 Other strategies include, using the Word Wall and ABC Line to sound out unknown words. Later, students will learn to write like lepidopterist. This means learning how to write facts, like the ones we have learned about in the butterfly non-fiction books we have been reading. 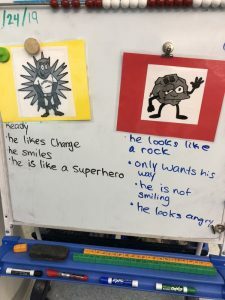 Some students may using the sentences starters Butterflies have… Butterflies can, and Butterflies are… or create their own, to help write these all about books. We can’t wait for you to read them! 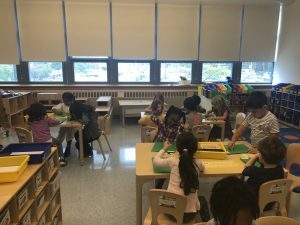 We learned all about counting. We have been thinking about ways to count efficiently and accurately, since that is what great mathematicians do. We played partner games to help enhance our “Super Counter Power” and also learned how to move in stations during math. Later this month, we will begin learning about measurement. 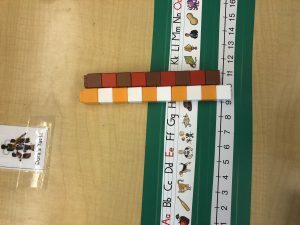 Students will learn terms like longer, shorter, same, length, size and measure. After the break, we will start Geometry and begin to lean all about 2D and 3D shapes! 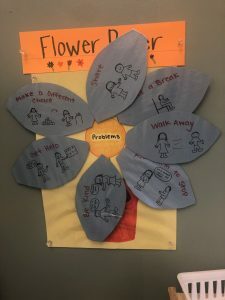 Students have been learning how to be a better friend with the help of Flower Power. Flower Power is a school-wide program that allows students to independently solve peer conflicts. 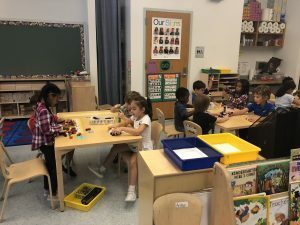 Right now, most students still need some teacher assistance to help navigate these conflicts, but overtime, students will be able to do this on their own. We will learn the letters v, w, x, y, z, and qu as well as the corresponding sounds. We will also review the letters we have learned. Sight Words we are learning up, am, and, are, in, an, on. We are lepidopterist! 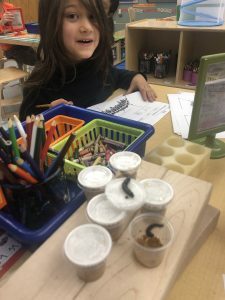 As our class learns more about butterflies and their life cycles, we also observe how they change and learn vocabulary to describe what we see. October came and went within the blink of an eye and boy did we have some exciting moments. From learning new letters, to an eye check, writing new stories and of course the Halloween Parade, it has been an exciting month. 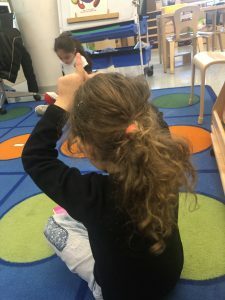 Over the course of the last month, students spent time learning how to write stories with the help of writing strategies and different writing tools. 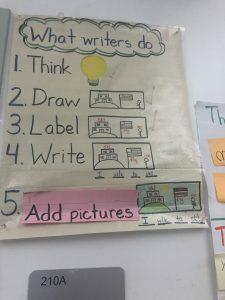 This anchor chart have been helping students keep track of the steps writers have to take in order to produce amazing stories. This month our class will begin our Content Study. Students will learn how all about butterflies and luna moths(SHHH THEY DONT KNOW YET SO DON’T TELL). They will become Lepidopterist, a person who studies butterflies and moths. By the end of the study, students will be able to tell you what these insects eat, how long their life cycles are, and provided dozens of interesting facts to tell to anyone who will listen. We played our first partner game during math. We learned how to be a Storyteller. We learned the letters i, u, c, o, g, a, d and s as well as their corresponding sounds. We practiced reading in our “Reading Bubbles” (a quiet independent reading time) and Partner Reading (reading one book with a partner) for 6 minutes. We talked about different ways to solve problems with a friend. This month has been filled with exciting events. We can’t wait to continue on this awesome adventure. 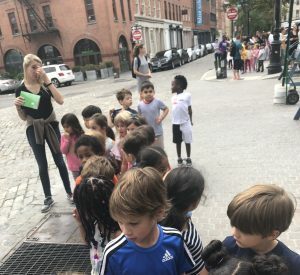 We learned how to take a Picture Walk and look for the characters and setting. Students are learning how to use the pictures to help tell the story without reading the words. 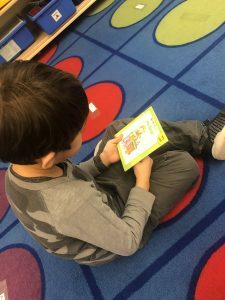 With the help up a reading tool called 5 Finger Retell. 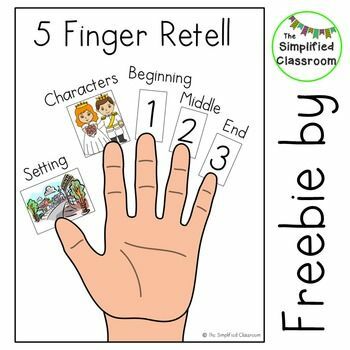 Students can use their own hand to keep track of the story elements within a given text. After identifying all the story elements, student can begin to retell the story to another student. On occasion, you might even find them acting said story out. Over the course of this month, students will continue to practice 5 Finger Retell and learn how to have a strong feeling about about different books. We are learning how to become storytellers. 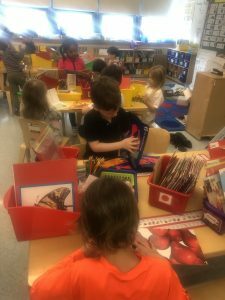 We have learned how to put on our storyteller backpacks full of stories we know, a nice talking voice and our imagination. 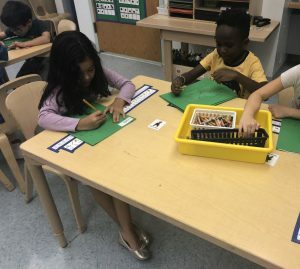 As we write our own stories, students are learning how to write sentences by stretching out sounds and jotting down the initial letter sounds. We have been learning all about patterns. 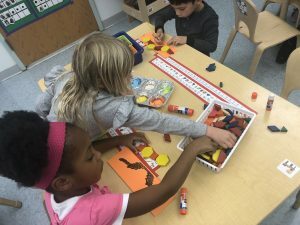 We have made pattern snakes with pattern blocks, questioned if color mattered in a pattern and even learned how to build patterns with colored tiles. We also played our first partner game called What Comes Next, as well as the game Add on. 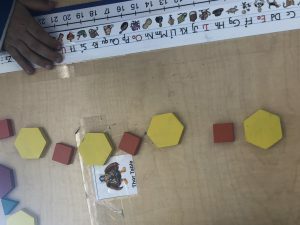 Both of these games required students to either guess the missing part of a pattern or add on and complete the pattern. As we wrap up patterns, students will be practicing counting this month. We will discuss ways students can become an accurate counter and a strong mathematician. We will learn the letters e,r,p,j,l, and h as well as the corresponding sounds. We will also review the letters we have learned. Sight Words we are learning go, so, no, in, an, on. We will become lepidopterist! Pretty soon, we will begin our Content Study and start learning about butterflies and luna moths. We also observe how they change and learn vocabulary to describe what we see. Learning to tie shoes can be quite challenging, but this video may provide some help for you and your child. This video is great for helping students with number writing! Sing along and practice together at home. We have completed a month of school! Bill Gordh came to visit our classroom. We had our first fire and lockdown drill. We learned the Sight Words “like”, “the”, “me”, and “can”. We learned the letters t, b, f, m, and n as well as their corresponding sounds. We practiced reading in our “Reading Bubbles” (a quiet independent reading time) to help build our stamina. We received writing folders to store our writing pieces. We received our very own sight word books! This month has been filled with exciting events. I can’t wait to continue on this awesome adventure. We will continue to practice Reading Bubble and learn how to choose books that interest us. Later we will also learn how to read with a partner and discuss favorite parts of the book. We will also learn how to take a Picture Walks (looking at the pictures of the book), and the terms characters, setting, beginning, middle and end. 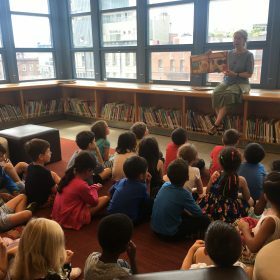 we may even have a guest reader or two as well. While we are still practicing the routines of writing, students are learning what writers write about. 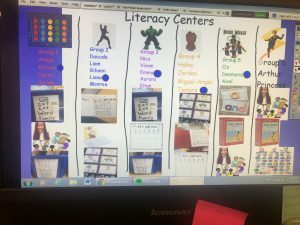 Each student has had the opportunity to free write their own stories and learn how to make each story better with the help of labels and backgrounds. This month, K210 will learn how to write about what they know, love and something that happened to them. 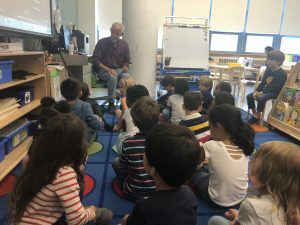 As the class learns how to become Storytellers, they will learn to create stories that are real or made up in order to entertain the readers or listeners. We are also learning how to create these stories and drawing the pictures to match. Soon we will start expanding on those stories and learn to add more labels and words. 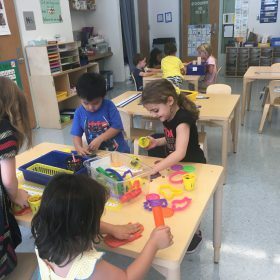 We have had the best time learning how to use math manipulatives such as snap cubes, pattern blocks, attribute blocks, dice and number cards. Now that we have learned how to use all the manipulatives, we practiced number writing by singing The Number Song. 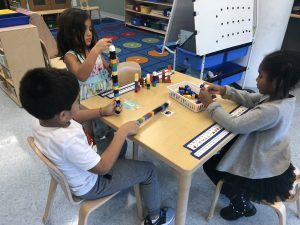 Although some numbers are still backwards, students are learning to be comfortable with simply just trying their best. Later this month we will begin to discuss patterns. We will spend time thinking about what a pattern is and explaining how we know. 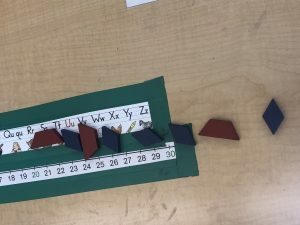 As we build and create patterns of our own, students will also learn how to record the patterns they make. By the end of the unit they will begin to play their first partner game about patterns. We will practice Flower Power and learn how to resolve conflicts with friends. 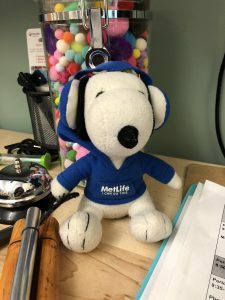 We will start the Snoopy Project.